This vaporizer is set apart from the rest because of its sleek design, its display features and its capacity to produce great vapor! Not only is it attractive, but it works wonderfully as well! 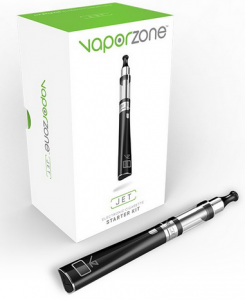 The Jet offers additional power and options such as a digital screen and battery meter on the vaporizer, and is a great middle-ground kind of vaporizer, that comes in a starter kit with a wide variety of accessories. This is a great kit if you want more upgrades than the Pro, but aren’t ready for the Pulse or Rebel. 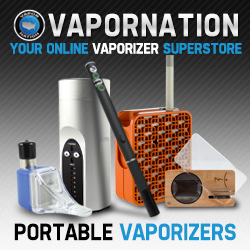 It is a great vaporizer for most! How do you operate the Jet? Screw cartomizer to battery once you have loaded the cartomizer. To fill cartomizer, you simply remove mouthpiece and fill the appropriate spot to the line and re-screw the mouthpiece back on. 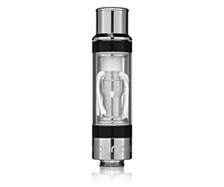 It’s named the Clearomizer Tank, this cartomizer is very easy to fill as described above, does not leak, and is convenient and simple to use. Every time you push the power button, the LCD display screen will show the amount of puffing that has occurred. When it is time to charge the battery, the puff counter will reset itself. The 650 mAh JET battery possess a digital screen to display the battery percentage which indicates how much has been used and how much battery life you have left, therefore indicating when you will need to recharge this bad boy! At 85mm it is not too small or too large! The battery power button can be held down for approximately ten seconds, in which case you will see it flash eight times and then it will go into standby mode. When you want to use again, simply press the button and it will be ready for you! This is a great energy saving component! 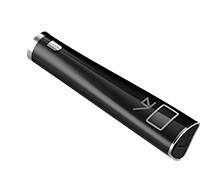 The battery comes with a digital screen that gives an accurate battery percentage and a puff counter display. This is a very informative part to the JET! Just to note: The cartomizer and batteries for the JET are not interchangeable with other products. This is good because you know it is specific just to this product. 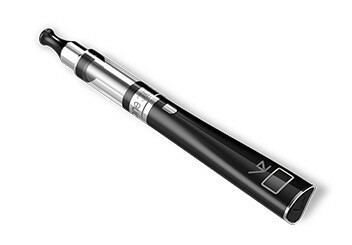 It does make it a little harder if you have many of the different vaporizers and E-cigs. It does seem that they have made a real product that is strong and worth your time! What does this fantastic Vaporizer include? There is a 30 day manufacturers guarantee which applies to any manufacturing defects. What a nice component! I feel comfortable investing in a product that gives me a guarantee that if it breaks, I can ship it back within due time of purchase. Your fantastic E-liquids are sold separately. Visit their website today to see the numerous flavors as well as mix-n-match your own offered.